Chang Tsi & Partners | Chang Tsi & Partners Won Four Nominations in Asialaw & Benchmark Litigation, “Jianfa suing Michael Kors for Trademark Infringement” Won the Award "2018 Matter of the Year"
Chang Tsi & Partners Won Four Nominations in Asialaw & Benchmark Litigation, “Jianfa suing Michael Kors for Trademark Infringement” Won the Award "2018 Matter of the Year"
The 4th Asialaw & Benchmark Litigation Asia-Pacific Dispute Resolution Awards was held on September 20, 2018 at Island Shangri-La, Hong Kong. 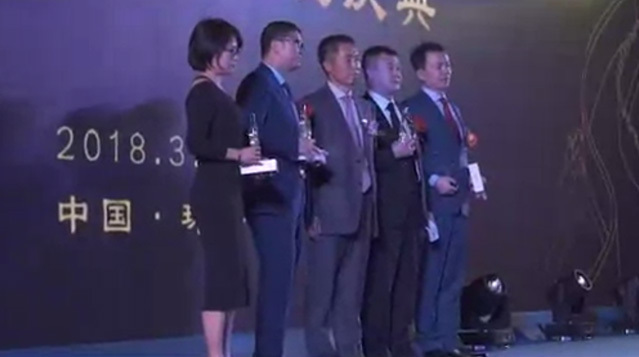 At the ceremony, Chang Tsi & Partners was nominated as 2018 "Law Firm of the Year", "Best IP Firm", "Matter of the Year" and Founding Partner Spring Chang was nominated as "Star of the Year in Dispute Resolution". At last, the case "Jianfa suing Michael Kors for trademark infringement" represented by Chang Tsi won the award "2018 Matter of the Year" in the fierce competition. Ms. Louisa Cheng, Manager of Market Department of Chang Tsi, attended the ceremony and accepted the award on behalf of the firm. Both Asialaw and Benchmark Litigation are the affiliates to Euromoney Institutional Investor (Jersey) Ltd. Benchmark Litigation is a legal media agency focusing on litigation and dispute resolution markets, and its publication is specialized in annual rating guide to dispute resolution, which has been published for more than ten years and praised as one of the authoritative reference guides in dispute resolution field. 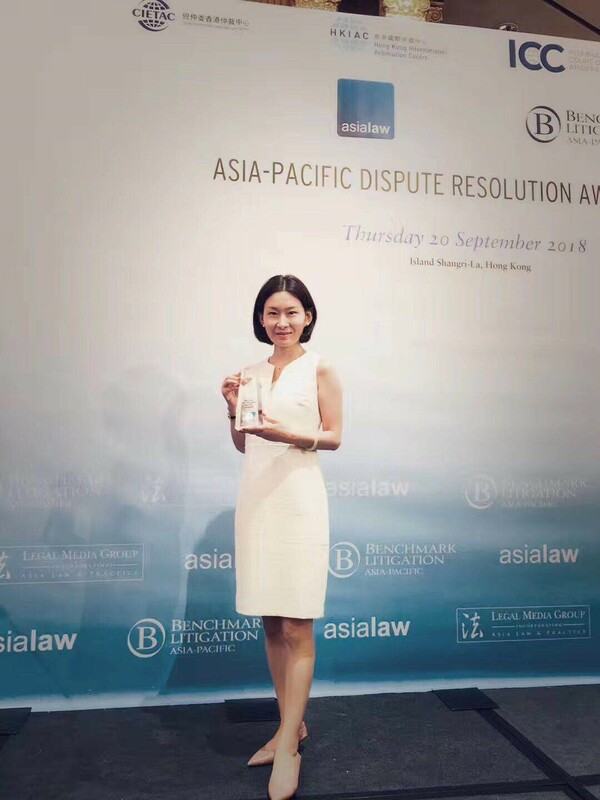 Meanwhile, Chang Tsi & Partners was included in the list of 2018 leading law firms in dispute resolution in the Asian-Pacific Region by Benchmark Litigation, and also awarded "Recommended Law Firm of the Year" in IP field. 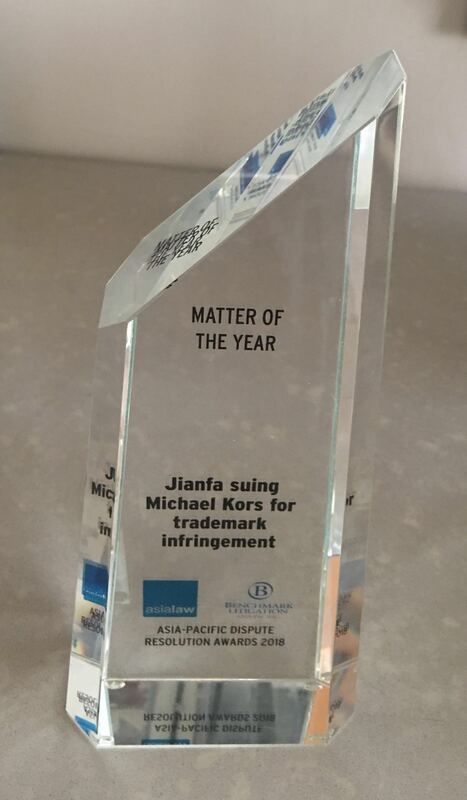 The case "Jianfa suing Michael Kors for trademark infringement", the winner of "Matter of the Year", was represented by Managing Partner Simon Tsi and Partner Michael Fu of Chang Tsi & Partners. This case involved a small Chinese company suing a multinational company for infringement of trademark rights and claiming huge compensations. Reverse Confusion was one of the key points in the case. As the agent of MICHAEL KORS, the defendant in the case, Chang Tsi carefully analyzed the case, sought the breakthrough point and formulated specific litigation strategies. In view of the fact that the plaintiff did not use its registered trademark regularly, Chang Tsi filed a countersuit with the same court against the plaintiff for trademark infringement and unfair competition. After the trial, Hangzhou Intermediate People's Court made a first-instance judgment on the case and rejected all the plaintiffs' claims. In recent years, the issue of Reverse Confusion has aroused great concern in academia and judicial circle. It was the first time that the judgment on this case traced the path of identifying Reverse Confusion in detail. The judgment also stressed that the determination of Reverse Confusion lied in specific analysis of the possibility of coexistence between trademarks and the measurement of the interests of all parties. In this case, the key legal issues, such as determination of the similarity between the trademark involved and the cited trademark, Reverse Confusion between the trademarks, the defendant's counterclaim, selection of the competent court and analysis of the plaintiff's lawsuit, have aroused the attention and discussion among the media and the judicial circle. Moreover, the case also fully demonstrated Chang Tsi's leading perspective and profound skills in the field of Intellectual Property dispute resolution. This case was recognized as one of "China's Top 10 Intellectual Property Cases of the Most Research Value" by Shanghai Institute of Intellectual Property, and it was widely reported by many legal media such as IPR Daily, Lexology, Intellectual Property circles and IPcode. Chang Tsi is greatly encouraged and acclaimed by these awards. As always, we will continue working hard and moving forward to offer more professional and suitable legal services to clients.